"Two Wheels Over Easy" - the KVBC Breakfast Ride series. START: 8:00 AM in Readfield Center at the junction of Rt.17 and Rt.41; park in the lot behind the Post Office. 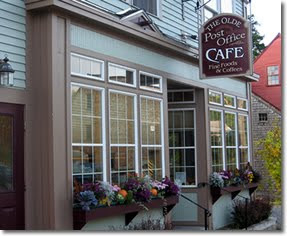 HIGHLIGHTS: breakfast at the Olde Post Office Cafe in Mount Vernon; some nice back roads in Readfield and Mount Vernon.